With childhood obesity on the rise any attempt to encourage children to be active should be welcomed. So, the government’s recent announcement of £150m worth of funding for sports in primary schools appears timely. The government funding works out at £8,000 for every primary school that has more than 17 pupils, and the £150m a year funding will be in place for the next two years. The money should be a boost for schools, children and parents. Schools will not be so hamstrung over trying to pay for sports equipment, children will have the opportunity to participate in sports they may never have previously experienced, and parents concerns over their children being inactive can become less of an issue. There should be at least one sport that a child will find that they are able to able to enjoy, but it should always remain enjoyable and not be something that they’re made to do against their will. The funding is part of a plan to create a sporting legacy on the back of the success of the London 2012 Olympics. Funding will be ring-fenced, with head teachers of each primary school having the responsibility of how best to utilise the funding that they receive. All the money will only be spent on equipment and training. The need of primary schools having to balance spending money on sports supplies or books has long been a problem, with sport often suffering as a result. Currently, one in three children of primary school age are thought to be either overweight or obese. Primary school is a good place for physical inactivity and obesity to be tackled, as children at this impressionable age can develop a love for sport that lasts for the rest of their active life. With greater access to PE school equipment, and sports equipment generally, children at primary schools throughout the UK will have a greater opportunity of flourishing at sport. The result may be that the country will benefit in the years to come from an even greater generation of sporting superstars, and in greater numbers, too. 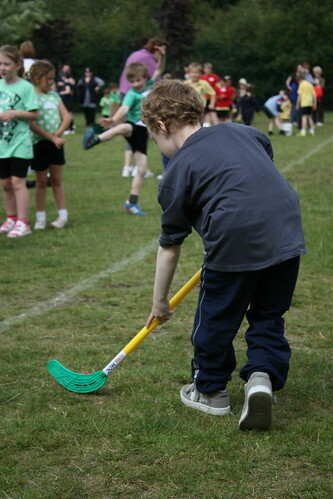 The exploits of Britain’s sporting heroes in the past twelve months have also helped to inspire children to take up sport. Whether they were inspired by the exploits of Jessica Ennis, Mo Farah and Chris Hoy at the Olympics, or Bradley Wiggins success at the Tour de France and again at the Olympics, there’s certainly been a raft of role models for children to admire. Maybe most inspirational of all was Andy Murray’s Wimbledon triumph, which can surely only fuel the enthusiasm of many youngsters to take up tennis and follow in Murray’s footsteps. The combination of improved funding and a golden era of British sport should also have favourable consequences with regard to the future health of the nation. More opportunities to take part in sport, and the inspiring effect of present sporting stars can combine to produce both new sporting stars and a more active and healthier population. Jessica Ennis and Mo Farah have been prominent in their support of primary schoolchildren having greater access to PE school equipment and for sports funding to be increased in primary schools. The legacy of this funding should be something that benefits us all. This article is written by Jack Thompson who is a former primary school PE teacher and supporter of the Youth Sports Trust.